When someone sends you a wonderful gift on your birthday, wedding, graduation day or any other occasion, you feel obliged to say thank you. A beautiful wish needs to be reciprocated in an equally beautiful way. A generous gift of money also needs an equal attention and appreciation! When someone helps you in your time of need, you cannot imagine forgetting it. Make sure such people get a message of thanks and appreciation from your end. It can go a long way in strengthening your relationship and bond, whether that someone is a friend or a relative. Thankful people are appreciated. Not to mention that they will also be inspired to continue wishing you the best in the future too! Here are some beautiful ways to say “thank you” to someone showing such a gesture! Here are some of our favorites. Many times people help you in ways that can mean much more than a monetary support. If you found their support to be invaluable at a difficult time, don’t forget to send them a thank you message! When writing gift thank you’s, consider these messages for a card. I am grateful to you for your generosity. You made a big difference with the help. I would like to say that you are so thoughtful and caring! We would like you to accept our gratitude for everything you did in our family crisis. I cannot find the right words to express my thanks. I am really thankful to have a friend like you! Your help came at a time when I needed a lot of encouragement. Thanks for being there and for all the care and help! The time and help you gifted us was invaluable. This card is just a small token of how grateful we are for your support! Thank you! I want to tell you that I am lucky to have you in my life. Thanks for all the support even when you are already so busy. It is almost impossible to find a friend like you! You gave us the gift of hope and encouragement in our difficult times. I will always be grateful to you. Thanks for everything! I am deeply touched and grateful for what you did. You were so thoughtful and generous. Thank you for your help and concern! A thank you seems to be nothing compared to what you did. We are deeply touched and feel lucky to have you in our lives. A generous hospitality may not always be reciprocated in the same way. However, you can always show your appreciation to someone who invited you to an occasion that was really amazing. Here are some examples. Thank you for inviting me to the occasion, I had a great time. I am so happy to have met so many amazing people. I would like to thank you for inviting me to your party. It was so great being with you and your family. The dinner was wonderful, especially the veal and the wine. I will be looking forward to meet you again! Thank you for inviting us for your birthday celebrations. It was so much fun and the food was so delicious and the service was amazing. Again, I would like to thank you for the great time! When someone does something for you, it is a natural tendency to show your appreciation and do something in return. 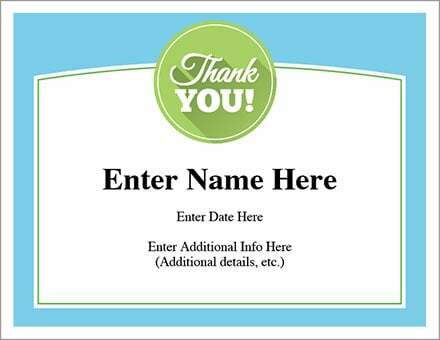 You can send a ‘thank you’ message to show that gratitude for special, personalized gifts! Let them know how you feel about the gift. Use a card to write on, tell them in person or write a note. Thank you for the wonderful gift! Only someone with such a great taste could have thought of it. You have a great sense of style and it was also a really generous gesture! I would like to express my gratitude and thanks for the wonderful gift. I’ll likely spend my whole life loving it. The gesture really made me feel blessed. It’s magical that you knew what I wanted but I didn’t know it. Maybe you have magical gift-judging powers! Thank you so much! Wow! I want to tell you how grateful I am for the gift, and want you to know that it didn’t go unnoticed. It’s good to know someone generous like you! Thanks for an amazing gift! I was shocked and touched when I opened your gift! I feel so grateful to have you as a friend! Thank you so much! I think you must be really crazy or too generous when you thought of giving this gift to me. I know you are not crazy! So thanks for the generosity! Your gift is so perfect that I myself couldn’t have come up with something better! I am grateful to have a friend who knows me so well! I want you to know that giving such a gift is illegal and I fear that you will be soon be arrested! Just kidding! Thank you for the wonderful gift and for your great generosity! I felt so special when I opened your gift! It was clear to me how much time and thought you put into it. Thank you! I never knew you to be so thoughtful and generous! Just kidding! Your qualities really shone through your gift. It was simply amazing. Thank you! Thank you for the gift. It was something that was much needed. The moment I opened your gift, I knew that you are the kind of thoughtful person to come up with such an idea! Yours was one of the best presents! I am amazed to realize that you know me so well. It was the perfect gift for me! Thank you! When someone sends you wonderful birthday wishes, you would naturally want to say a thank you. Make sure you say so in a beautiful way! Thank you for your wishes on my birthday! They will be my keepsake, a reminder of all the beautiful memories! Thank you again! Food wouldn’t be great without salt. And so was my birthday without your wishes! Thanks for adding the salt in my life! I want to thank you and let you know that how amazing it is to have a friend like you to share my special moments! Thank you for the birthday wishes and for being there! Thank you for a message that was sweet and priceless! You have always been so caring and loving! You know my birthday may have lasted just a day, but your wishes will make me feel special for a long time! Thank you for your wonderful wishes. Your wishes were so beautiful and sweet! They were so special and made me believe more strongly in the value of friendship! Thank you for the wonderful birthday wishes! Your wishes were all that I needed to have such a special birthday! Thank you for being such a special friend! Thanks for your incredible birthday wishes! I don’t think that I have gotten another year older. I see it as another year of living with friends like you! Thanks again! Your words made my birthday even more special. I was blown away by your wonderful wishes. I think it will almost be impossible for me to replicate the warmth you showed me! Thank you for the birthday wishes! 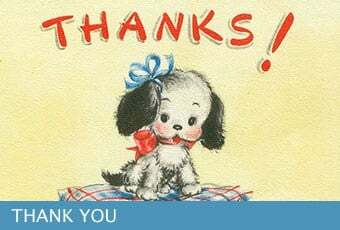 Check out Thank You Memes and Images. It is rare to get a gift of cash or a gift card on your birthday, wedding or other occasions. But when you do, make sure to let them know how much it mattered to you. Thank you for the generous gift on my wedding and being there on my special day! I will always remember this beautiful gesture! Your gift on my birthday was really a generous and thoughtful gesture! I have had my eye on a new ______, and I will buy it with the money you sent! Thank you for your wonderful gift! A big thank you for such a generous wedding gift! I am so thrilled and now I will be able to buy ____ I had my eye on. I want you to come over some time to check it! Thank you again! Thank you for your generous gift on my birthday! I want you to know that it will be of great help for my long awaited vacation! What an awesome gesture! Thanks again! The coffee shop gift card was such a big surprise! Thank you so much! I think you know me so well I never realized it! I wanted to say thank you for the wonderful cash gift and the beautiful birthday card. This made my special day even more special. I would also like to send good wishes your way. When I think of the wonderful people in my life, you really are at the top! I appreciate you so much. Thank you so much for your very thoughtful present. We love the beautiful gift you gave us. I am so grateful for the lovely gift you presented. We will treasure your gift forever. We love the gift. Thank you so much! We love our beautiful new gift and we cannot thank you enough for your thoughtfulness. One thank you for the gift and another for the thought. You’ve given us so many reasons to be thankful. You provided such a nice surprise. I will always remember what you did. Can’t thank you enough for all you’ve done. I appreciate the timing of your help. You helped right when I needed help most. No words except to say except, thank you. No one could find a more thoughtful, generous person. I love my new (name gift). You really picked out a great gift. Your support is greatly appreciated. Please accept my deepest heartfelt thanks! I value your time and kind words. Thank you. I will cherish your gift and our friendship. Thank you for being so generous. It made my day when I opened your gift. Thank you. It really means a lot that you were there for me. You have a special place in my heart. Thanks again. Only someone with great taste could get me such a cool gift. Thank you for thinking of me. Taking the time to help me was a very nice thing for you to do. You are a very thoughtful person. Thank you. With grateful hearts, we thank you. A great big thank you from all of us. Withs heart full of thanks, we appreciate you. We thank you for your act of kindness and thoughtfulness. I can never express how much this means to me. I’d like to extend my sincerest thanks. I can’t begin to express my appreciation. I am overwhelmed with gratitude to you. I am moved by your generosity. My, I couldn’t have done it without you. I am filled with profound gratitude. Thank you for your lovely wishes. It really made my day. A million thank you’s aren’t enough. It was so sweet of you to do what you did. May your kindness be repaid threefold. Accept a token of my thanks. Thanks for lending your shoulder during my sad days. Your humble and kind words helped me. The longer I am around you the more I realize that you are a generous and caring person. You’re still the one who puts a smile on my face everyday! Thank You! Without you the wounds on my heart would never heal. Thanks for sharing the love and kindness I needed. You are thoughtful and generous in your gift giving. You picked a perfect gift for me. Thank You. 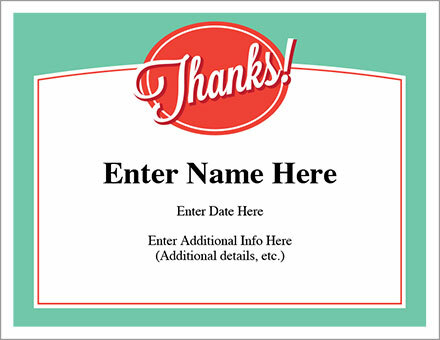 You deserve a bigger thank you than this card for what you did. I will remember what you did. You gave me an amazing gift that I will enjoy for many years to come. Thank You. You gave me so much. I have nothing left to say except Thank you! Your generosity has been a blessing and is much appreciated. Sis, you are truly a blessing in my life! You have our heartfelt thanks. Your gift was thoughtful and unique as you are. Thank you. You’re the best! You may not realize what a blessing you have been through this difficult time. Thanks for your help. You must be reading my mind, because you got me exactly what I wanted. Thank you! Words can’t express the gratitude I feel. I appreciate always having a shoulder to cry on, a friend to share each day’s events with and a beautiful sister. You have encouraged me during a time I needed encouragement. Thank you. Your gift was exactly what I wanted, even though I didn’t even know it at the time. Sister, you made my day! Expressing gratitude and thankful messages in various languages. We are forever grateful that you were able to help us in our time of need. Thank you for enriching our happiness with your lovely gift. We are so pleased you could join us for our big day. I owe you a world of thanks. Your generous spirit amazes me. Your kindness and caring mean so much to us. I wish there are more people like you. It was so kind of you to …. You make the ordinary extraordinary! Can’t say enough how much we’ve appreciated your help. Thank you so much. We hope you know that our day was more special because you were there with us. Thanks a million! You’ve helped us in so many ways. May God bless you for all of your valuable work as a volunteer for our organization. We looked up saint on Wikipedia and your photo came up. Thanks for your contributions. A gift of your time an talents was incredibly worthwhile to our organization. We appreciate it. We’ve given serious thought to cloning you. Thanks for all you’ve done! Your job was far from an easy one. You just made it look that way with your skill and diligence. Thank you! You didn’t have to be such a rock star! Thanks so much for your help through the years. Wow! We love what you brought to the table. Thank you so much. You’ve been an incredible volunteer. You hard work, dedication and leadership have made so many lives better. Thank you! We could use 100 more just like you. Thanks so much! Thanks so much for your hospitality last night. We had a great time. If you have ideas for other thank you messages, please let us know via the contact page. Thanks!